Motorcycle theft is still a major problem in many parts of the world. 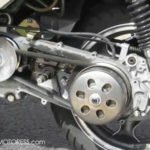 France – a country renowned for favouring motorcycles of all varieties from race-replica street bikes to scooters – eight motorcycles are stolen every hour. (Statistics 2011) Recent numbers state that around 85,000 bikes are stolen every year. Recovery success is only around 9%, a bit higher in the UK 21.69% in 2011. However, especially if you own something exotic with some great components – the chance of getting your bike back is really minimal. 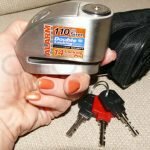 GPS security tracking for motorcycles has made great advancements in simple affordable solutions. 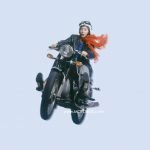 In a recent UK survey conducted by the National Crime Intelligence Service NCIS reported that it only takes 20 seconds to steal a motorcycle. Thefts are generally carried out in urban areas and 80% of stolen bikes are taken from the owner’s home, showing that bike owners need to invest in more stringent theft prevention methods such as solid lock-ups or improved alarms and immobilisers, which will all act as deterrents to thieves. No matter where you live, most victims of theft are left with very little help from the police force who are simply unable to assist with the number of thefts, and those affected are forced to attempt to recover their bikes themselves by searching the city or advertising their stolen bikes. Expert thieves often work in gangs and target what they see as “easy steals”. Criminals will drive alongside motorcycles in a van and lift the bike inside using scaffolding poles. To passers by, this often looks like the bike is simply being recovered by break down companies or the owner is packing it up in the van to take it to a track. This method allows criminals to steal in the UK for example, £3 million worth of motorcycles every month! The vast majority of bikes are sold on for spare parts, which is a simple way for thieves to make themselves some serious cash. Systems of GPS Security Tracking for Motorcycles increase the chance of finding your motorcycle before it’s torn to pieces. Certainly traditional methods such as alarm systems, immobilizers and good locks slow things down and of course insurance coverage. Yet if the target of the thief is to dismantle your bike and sell its parts, whether the bike can be ridden is not relevant at all. Fortunately the technical advances in GPS Security Tracking for Motorcycles have made this option more affordable and easier to install – and you’ll benefit a great deal from these devices. On the surface, this gadget may not sound very interesting, but when you start to find out more about what it can do – you begin to think that this may be necessity for every rider. 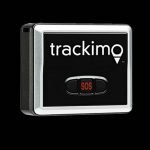 Tracking systems are sized perfectly for motorcycles generally being no bigger than a mobile phone, some even as small as coins, and they are easily concealed so you don’t have to compromise style for security. There are a few types to choose from with slight variations but generally they work like this, starting with a small unit you install on your bike, activate it and create your account on the provider’s website. Then if stolen, you then activate it on-line and you immediately able to track your bikes movement. Here is what CycleTRAK does – install the black box on your bike, activate it and create your account on their website, MapQuest driven interface. 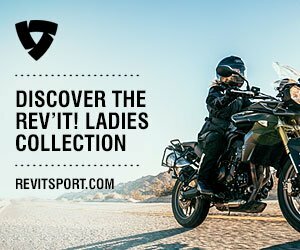 They will allow you to retrace your bike’s route history on-line, and of course pinpoint your ride’s location in the event that it’s stolen either on-line, or by phoning their 24/7 North American call centre. The reports are supplied via satellite delivered GPS data via a high-powered cellular transmitter embedded in the unit. There will be specific and preferred GPS tracking systems for your particular country. For example the brand CycleTRAK is enabled for North America only. Further features in many GPS tracking systems may also include a bike-down sensor which in the unlikely event of a crash, the unit reports back to the providers call centre that your bike has gone down. The call centre staff will first attempt to contact you, and if unable to will dispatch EMS (emergency medical services) to your exact location. This is so ideal if you ride on your own especially long-distance touring! This feature could be a lifesaver. Another great feature of some systems will is a record of the roads you travelled because yes you are being tracked! You could easily relive your ride! Very handy when you discover those great roads but couldn’t remember the details after! Using GPS tracking systems, police would be able to pinpoint the exact location of a stolen bike, increasing the rate of recovery significantly. It’s a known fact that motorcyclists are treated with a great deal more disregard than other road users. It’s really up to us as motorcyclists to protect our bikes and find solutions to increasing bike theft. Pricing ranges from USD399. on up, plus often a subscription fee which is yearly/varies from USD14.95 per month. Some insurance companies will give further discounted rates if you have an installed GPS tracking system! Real-time tracking/monitoring, cellular & internet GPS alerts, sms & e-mail notifications, five min. reporting, on demand tracking, theft Alerts, speeding alerts, motion alerts & messages, historical reporting & locations, geographic boundary violations. Here a few plans to explore! Cycletrak S powered by MicroTRAKGPS- USD699.00 with a $14.95 per month subscription. MotoTraq – contact for pricing.